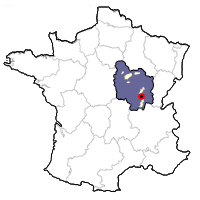 François Berthenet and his dad Jean-Pierre run this domaine in Montagny-les-Buxy, the principal town in the Montagny appellation. Although the Berthenets can trace their history in the region for more than four centuries (during which time grapes were inevitably cultivated), the domaine was created in 1974 when Jean Berthenet purchased his first hectares planted with Chardonnay and Aligoté along with another parcel of Pinot Noir. All the Berthanet grapes were originally sold to the cooperative in Buxy. Even though he was not making wine himself, Jean sought to raise the quality of his grapes by selecting vines from his own vineyard to graft onto newly acquired parcels. In 1991 the torch was passed to Jean-Pierre, who continued to acquire more parcels of vines while selling the entire production to the co-op. In 2001, with his vineyards in place and producing excellent grapes, Jean-Pierre decided to leave the cooperative and set out on his own. The next year he built a new winery above the village with temperature-controlled stainless-steel tanks and some oak barrels. A bladder press was purchased to further enhance quality. 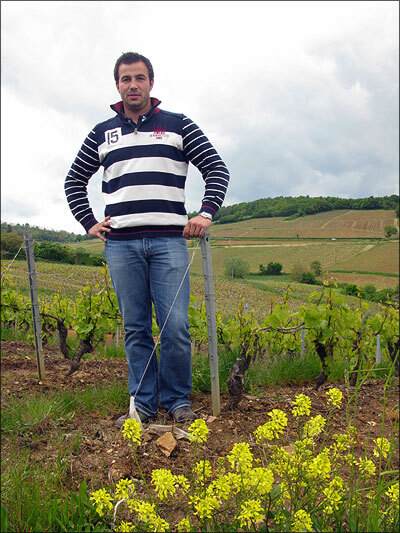 Today Jean-Pierre's son François is fully part of the domaine, working the vineyards, assisting with the winemaking and selling wine through the independent growers group. They now farm 18 hectares of vines, spread over a score of parcels throughout the commune. The Berthenets were the first producers in the village to work sustainably, and for years have attempted to limit their chemical interventions in their vineyards. François firmly believes that if one pays close attention to the vineyard during the growing cycle, there is less necessity to sort grapes during the harvest. Even so, not every grape harvested is allowed to pass into the pres. Two employees are on hand sort any unhealthy fruit. Copper and sulfur are used in the vineyard when possible, but certain contact products are used when the weather causes dangerous risks to the fruit. Harvest is with a recent model machine, which is much more gentle with the fruit than older models. Indigenous yeasts are used, and the wines are fermented in stainless steel or barrel, depending on the cuvée. The whites are pumped over and aged 10 months on their lees. All the whites undergo malolacticfermentation. Sulfur at bottling time has diminished over the past few years. The domaine annually produces about 100,000 bottles. Domaine Berthenet makes 7 premier cru wines from the 15 hectares of vines they own in Montagny. Yields average 58 hl/ha. The Berthenets own 2 hectares of Aligoté, including half a hectare Vieilles Vignes parcel planted in 1950. Yields average 70 hl/ha. TheVieilles Vignes cuvée is grown on clay and granite soils and aged in stainless-steel. Grass is allowed to grow between the rows of vines. This is plowed during the vegetal season and soil is decompacted by turning it over in the winter. Berthenet's Bourgogne Côte Chalonnaise from from a 1.4 hectare plot planted on clay and granite soils. Yields average 58 hl/ha. Made from 100% Pinot Noir, 50% of the wine is aged in tank and 50% in oak casks. 5,000 bottles are produced. Tasting Notes: Light but with definite Pinot flavor (bing cherry, red fruits) that finishes with tender tannins. This wine tastes great with a light chill.